PlayStation fraud risks for customers of Sony Entertainment Network can be very high and costly which we cover in this article. 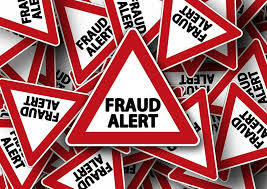 There have been many cases of PlayStation account fraud due to identity theft which are causing many problems. However, the way Sony is handling the issue is costing their customers hundreds of dollars, banned accounts or devices, and wasted time. Many kids love PlayStation and often ask Santa to bring them a console and games to play with members of the PlayStation Network online. The console requires the purchase of games and points to buy players to build a team such as in the case of FIFA. Often, kids and their parents enter a credit card number in their online accounts to buy and download games or points. These credit card numbers and related information can be stored in the online accounts for future purchases. There are some PlayStation fraud risks for consumers that must be raised. First, the accounts can be hacked to use the credit cards to purchase points and divert them to another account. Second, when parents dispute the charges, Sony immediately disables their accounts which not only prevents kids to play the games that they have purchased but also lose the games associated with the banned accounts. This leaves parents with one choice if they want their kids to play the games again; open a new account and PURCHASE the games AGAIN. This is how Sony retaliates and makes up for the money that they lose due to fraud disputes with the credit card companies. That said, no one knows for sure how the accounts are hacked and why families are held responsible and punished for the fraud charges. How do families know that PlayStation accounts were not hacked in the Sony systems? Then, how can Sony make their PlayStation customers responsible for the charges and punish them with banned accounts and even worse banned consoles which will force parents to buy another console for hundreds of dollars. The PlayStation fraud risks are high for both the Sony company and its customers. Sony can potentially alienate its customers losing millions of dollars due to unnecessary banned accounts and consoles. The best way for Sony to handle this is to require its customers to open new accounts and give them back the purchased games. Why should customers buy new consoles and games again if no one knows how the PlayStation accounts are hacked? Customers should not be accused and punished for fraud due to the lack of PlayStation security while they are asked to store credit card numbers in their system for future use. Customers are often faced with poor PlayStation security and customer service according to many online discussion forums. To protect themselves, PlayStation users should not store credit card numbers in their PlayStation accounts and instead must buy gift cards to buy points because Sony may be responsible for the hacked accounts and place the blame on its customers. Also, customers should buy the game CDs instead of the digital download because if their accounts are banned by Sony, they also lose the downloaded games associated with the banned account. A banned console is a completely different story which is completely unfair especially if the user had nothing to do with the fraud and account takeover. Take an identity theft course after reading about PlayStation fraud risks.